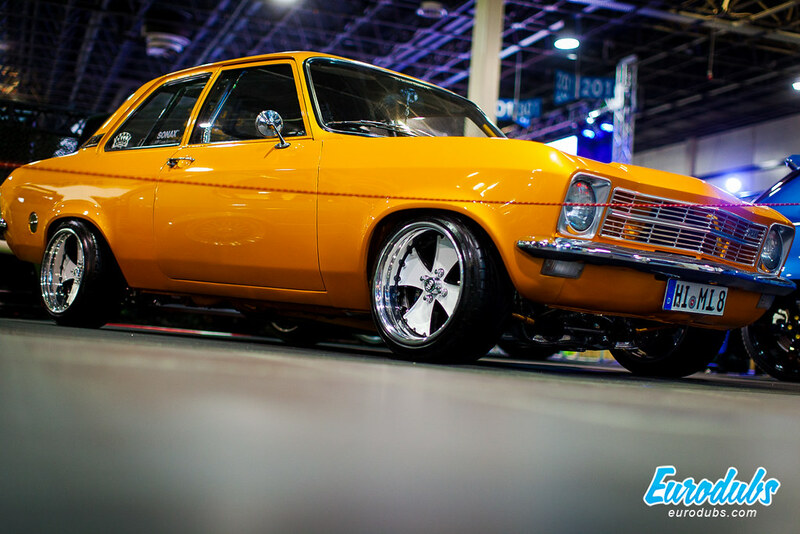 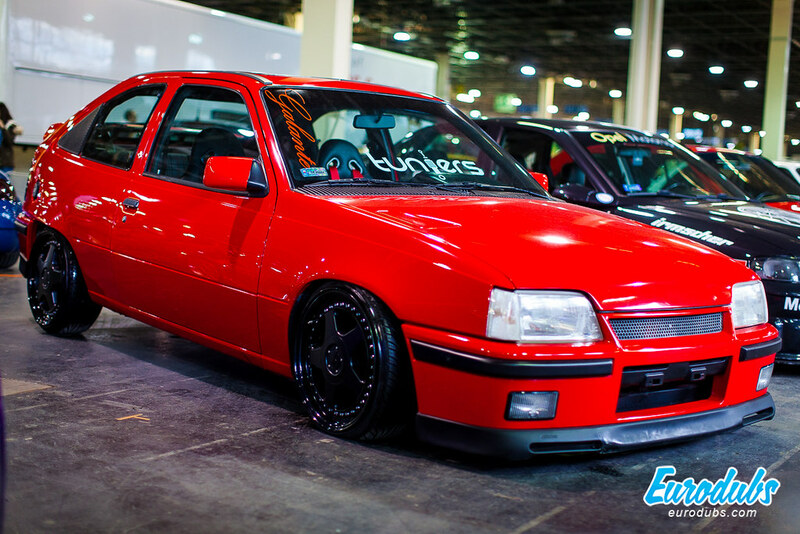 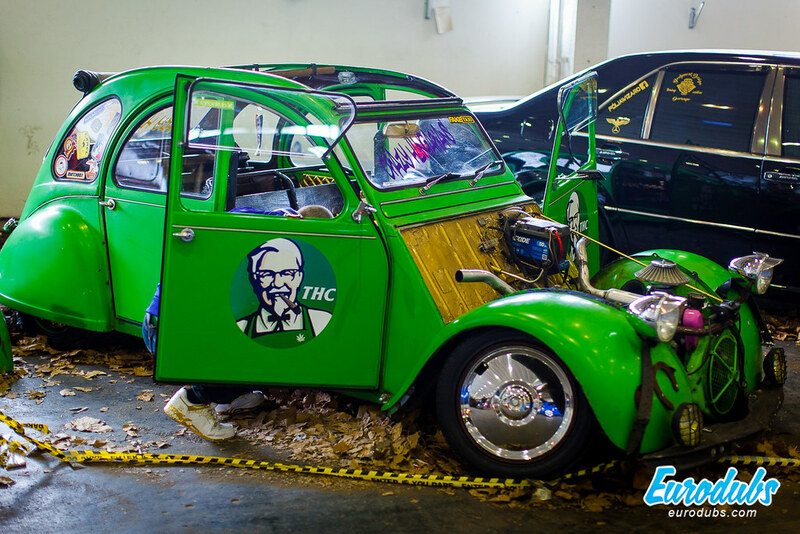 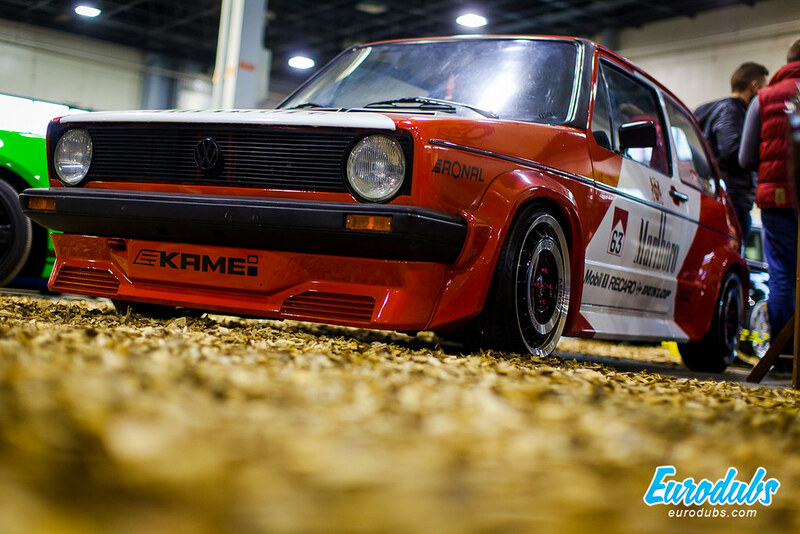 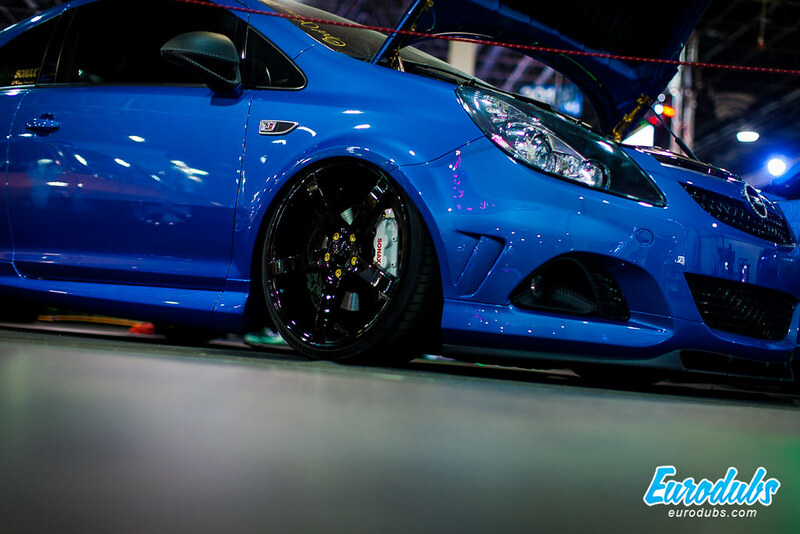 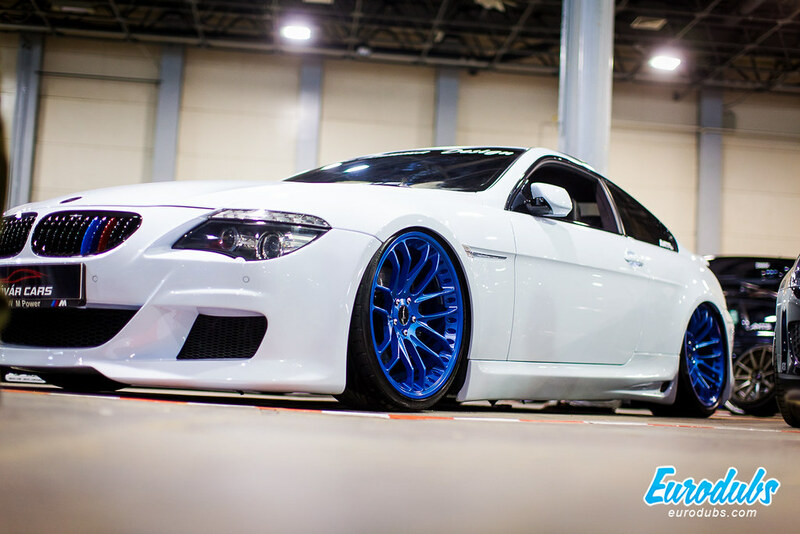 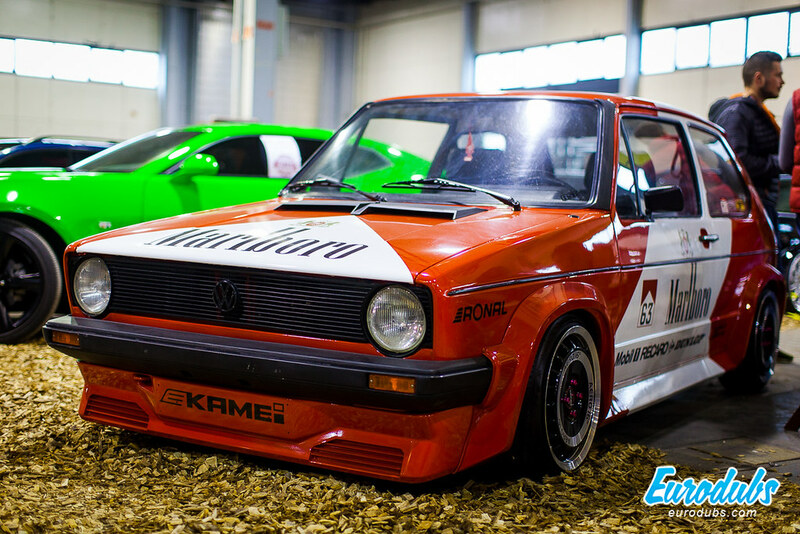 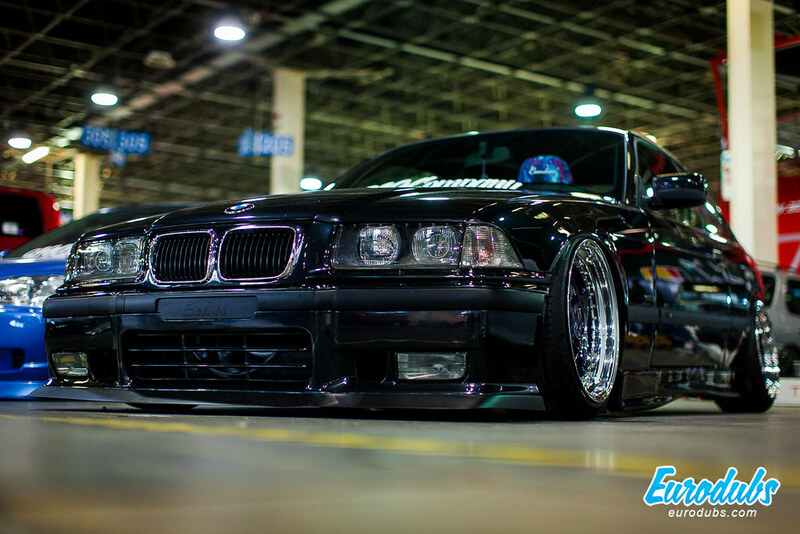 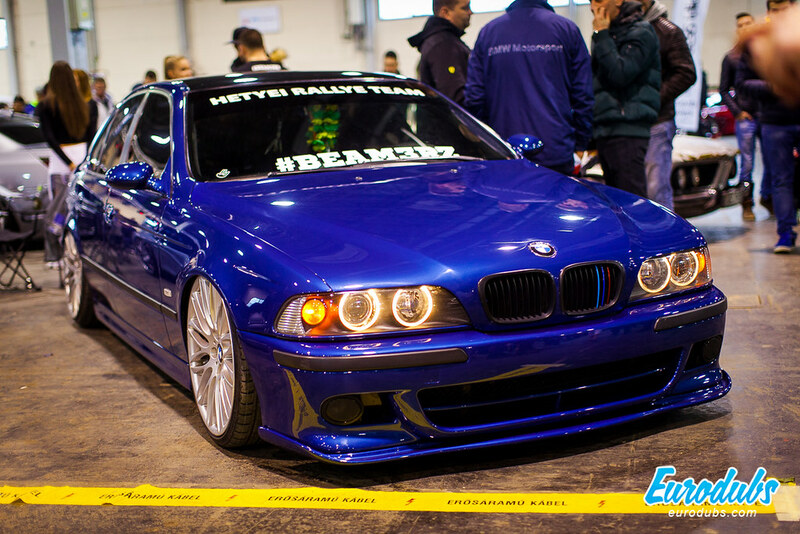 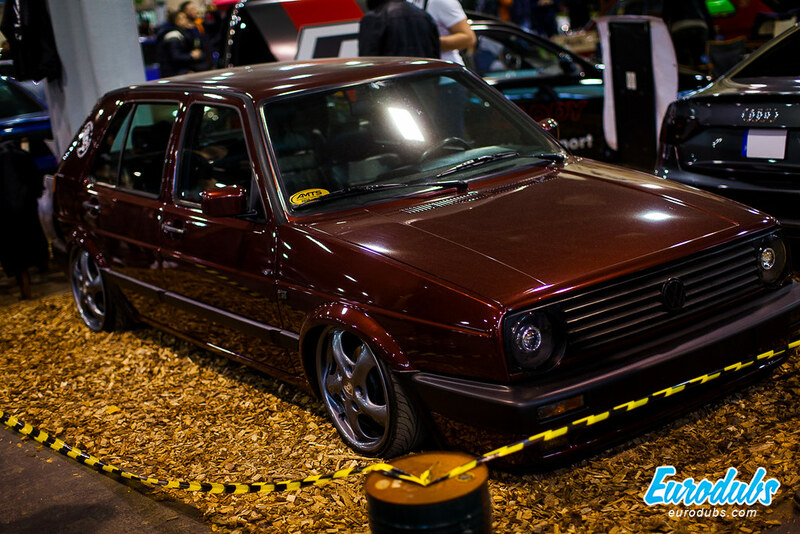 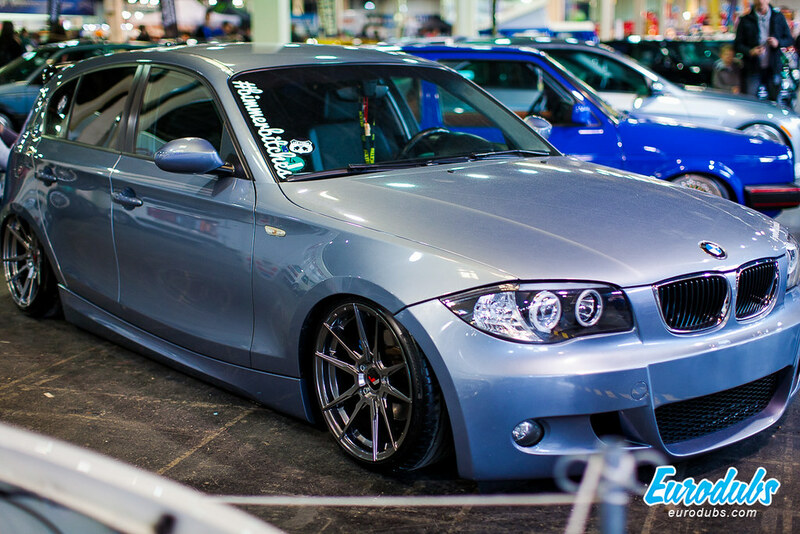 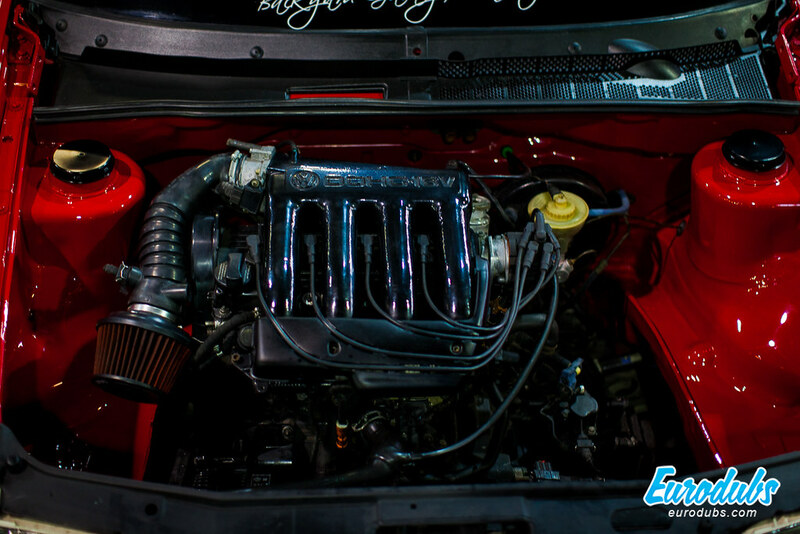 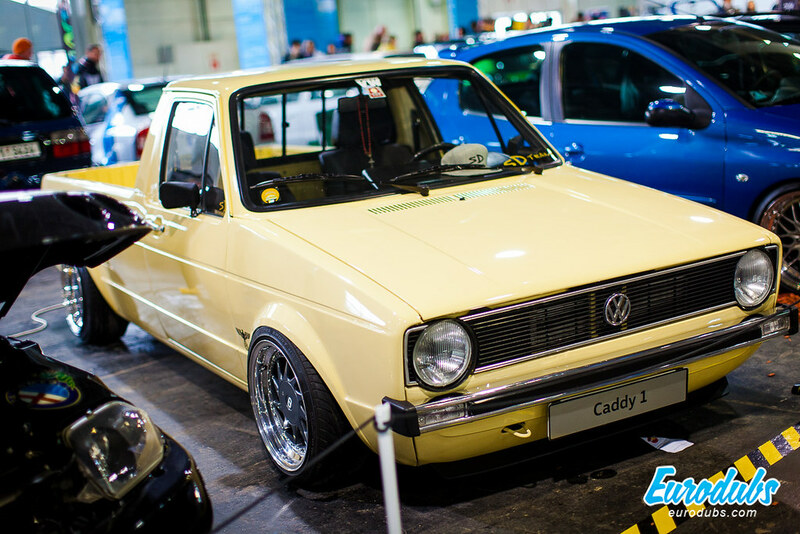 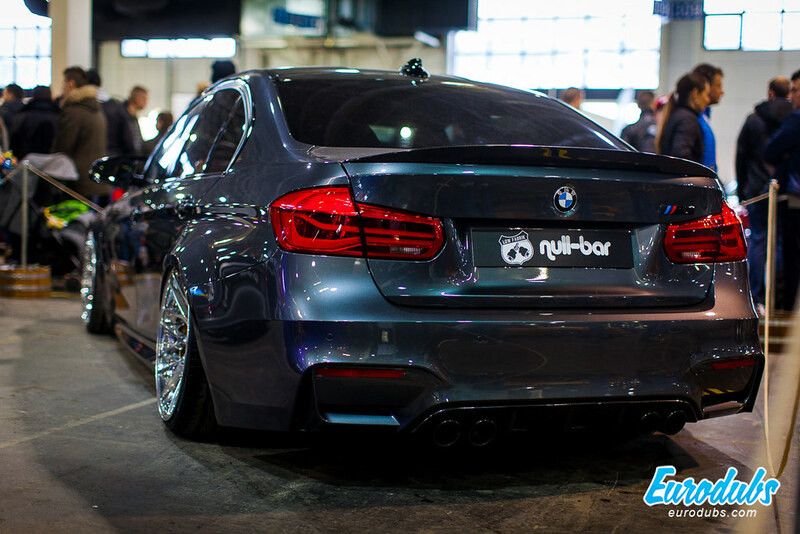 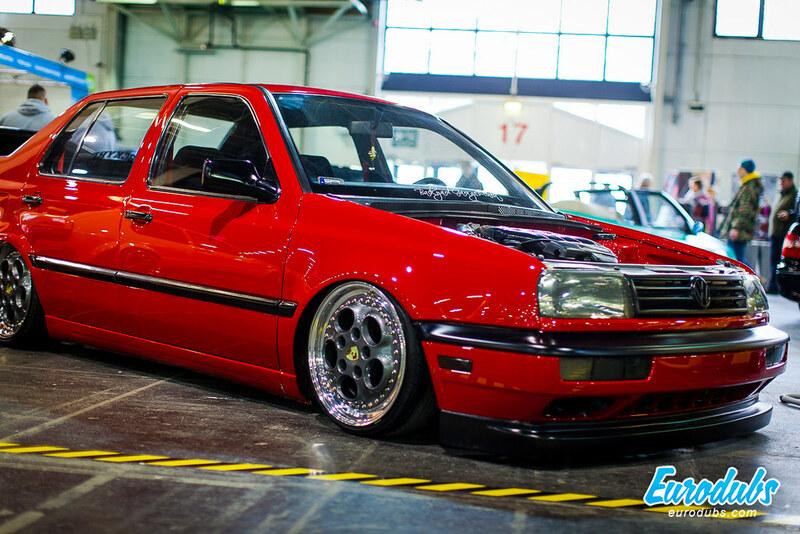 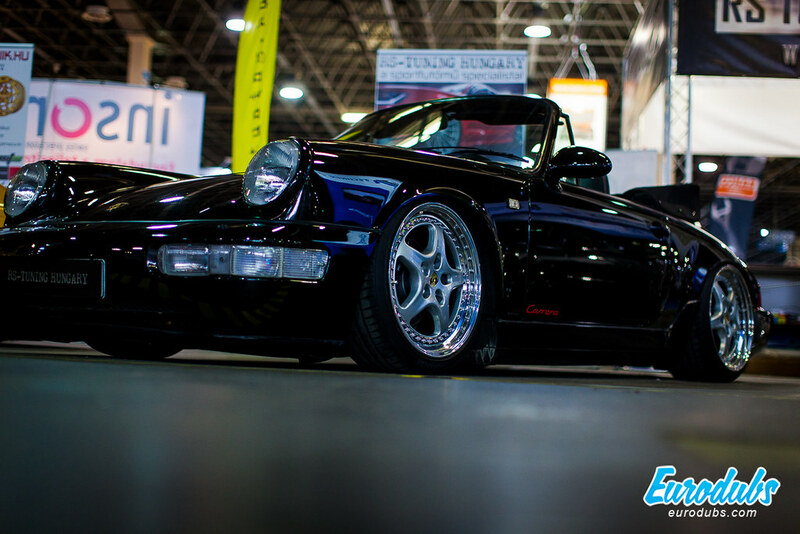 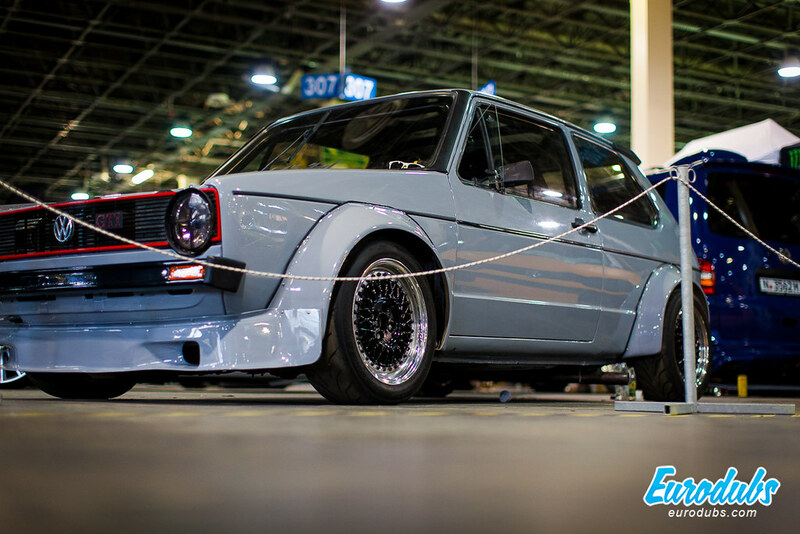 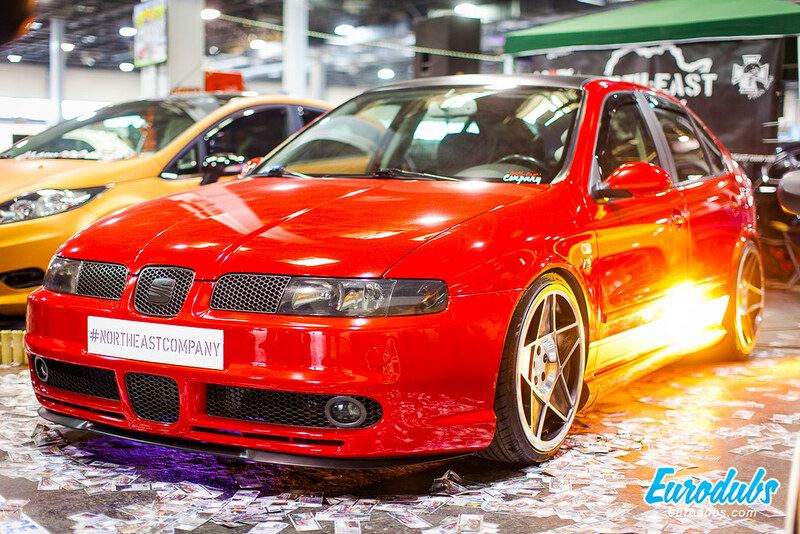 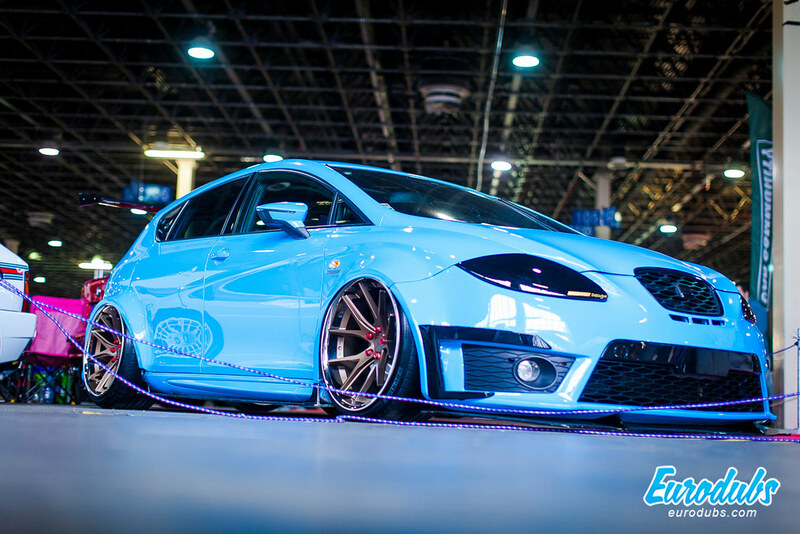 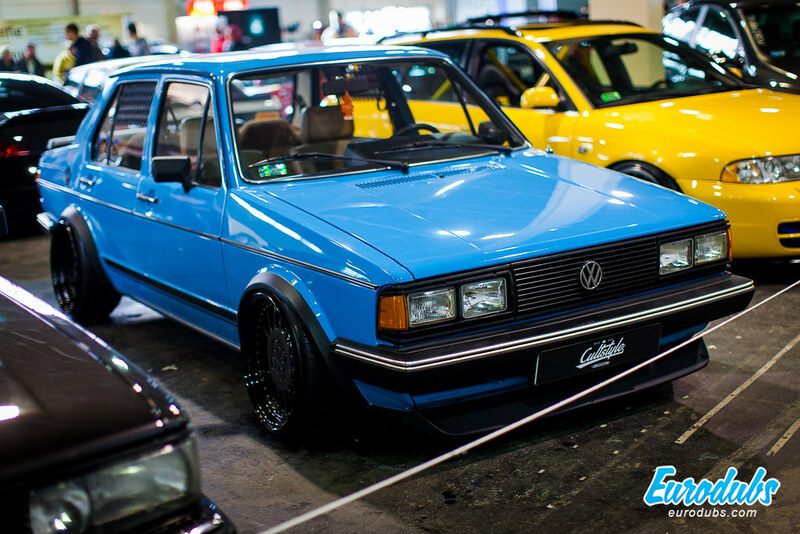 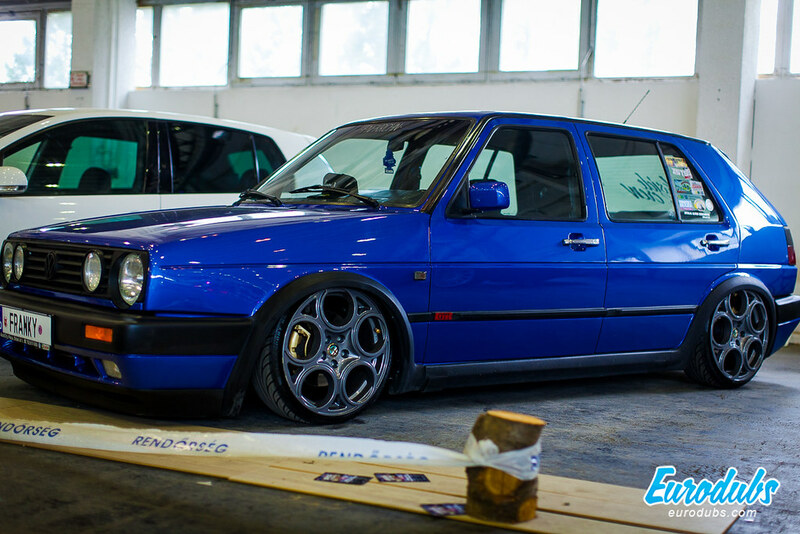 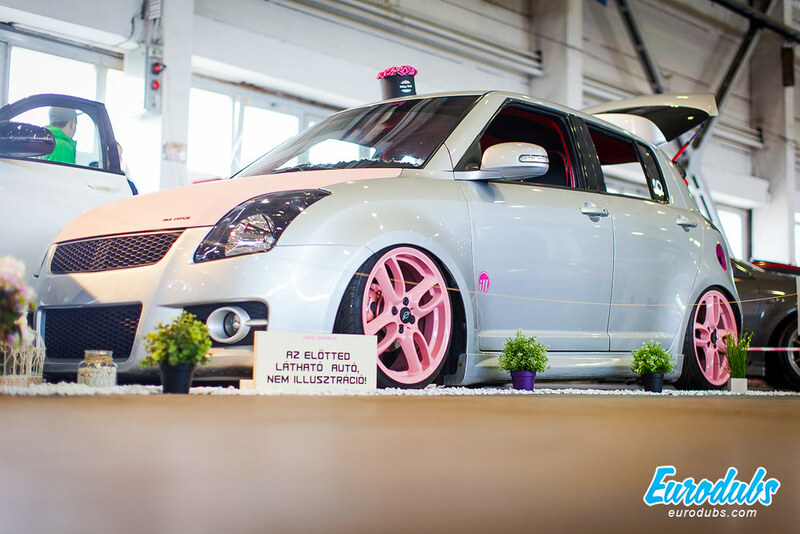 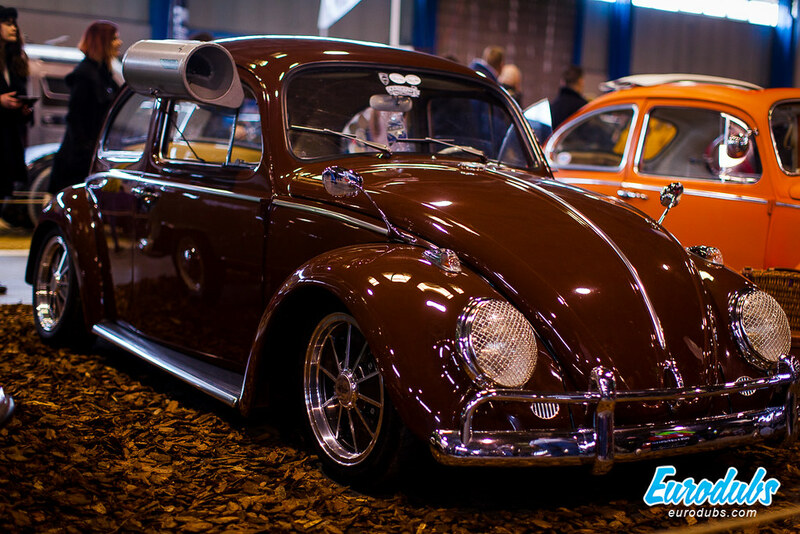 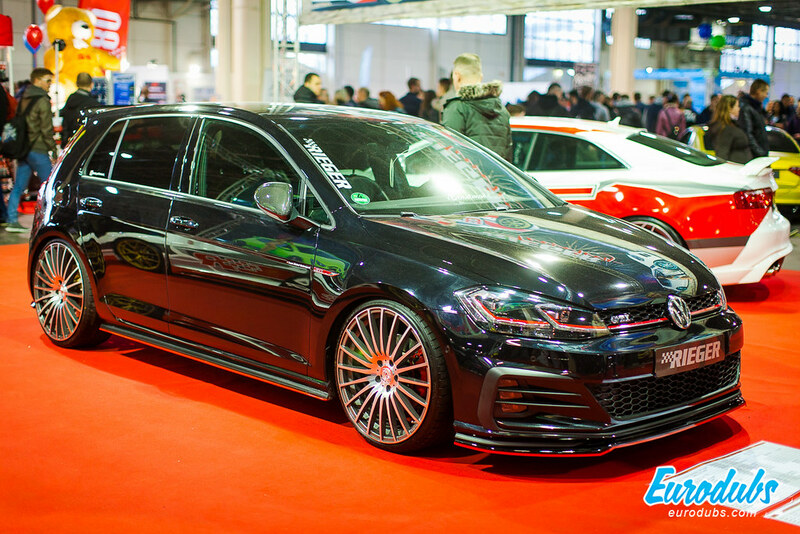 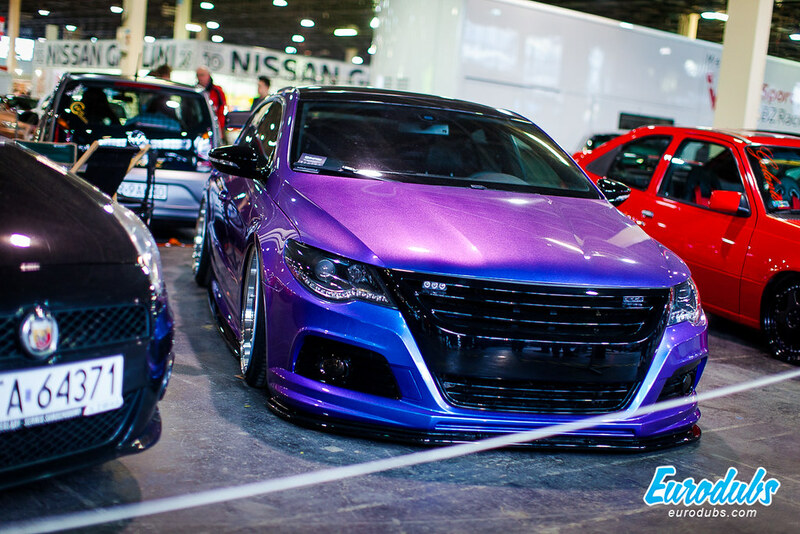 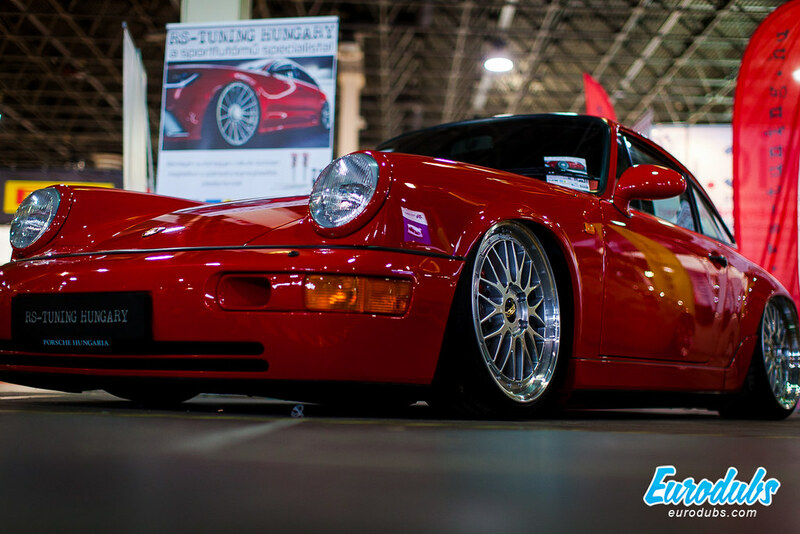 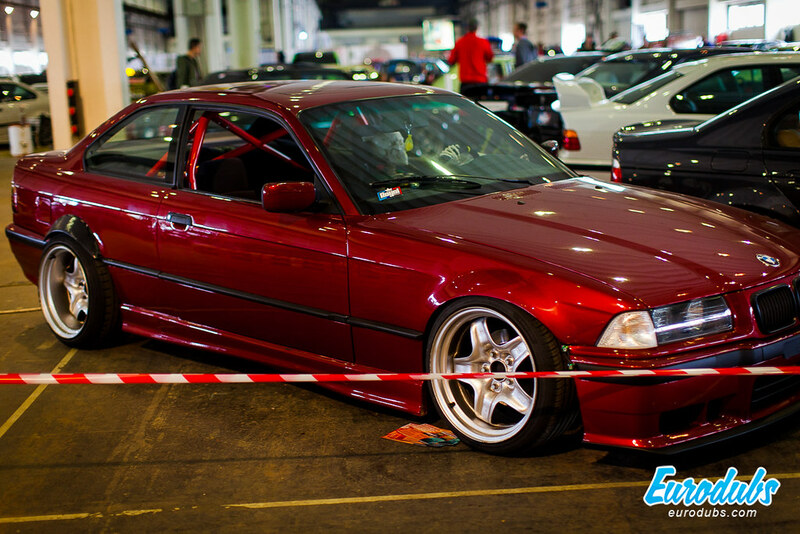 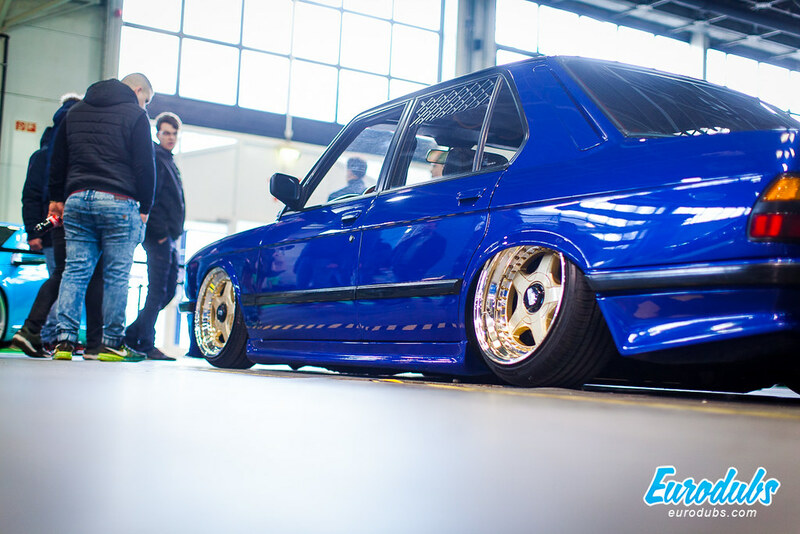 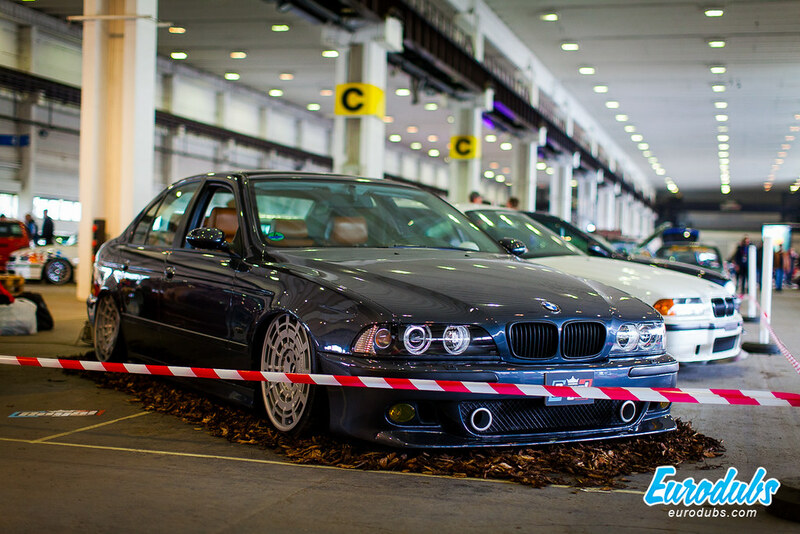 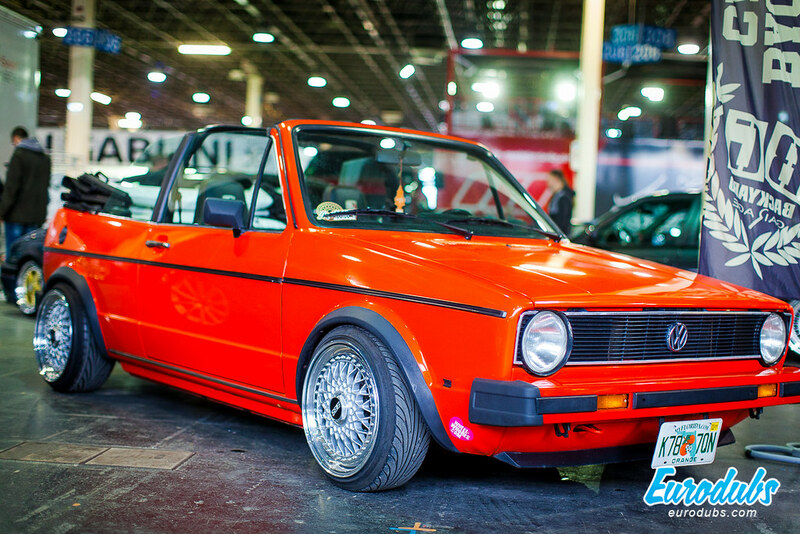 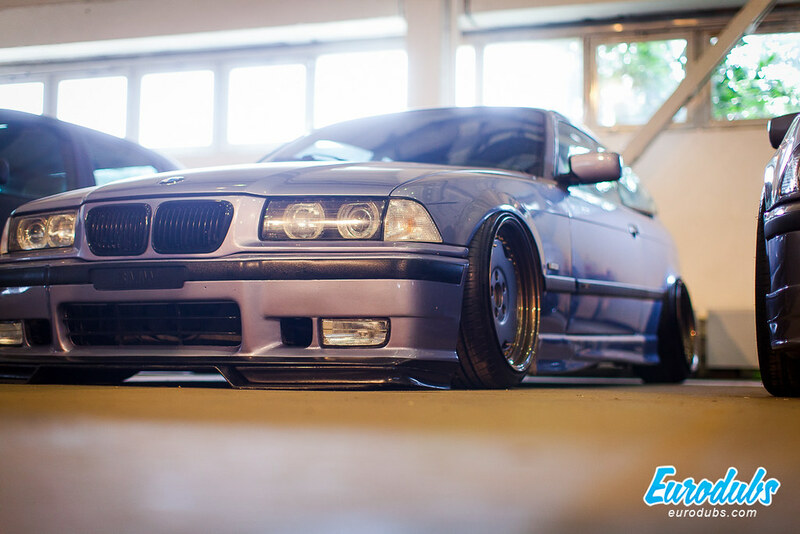 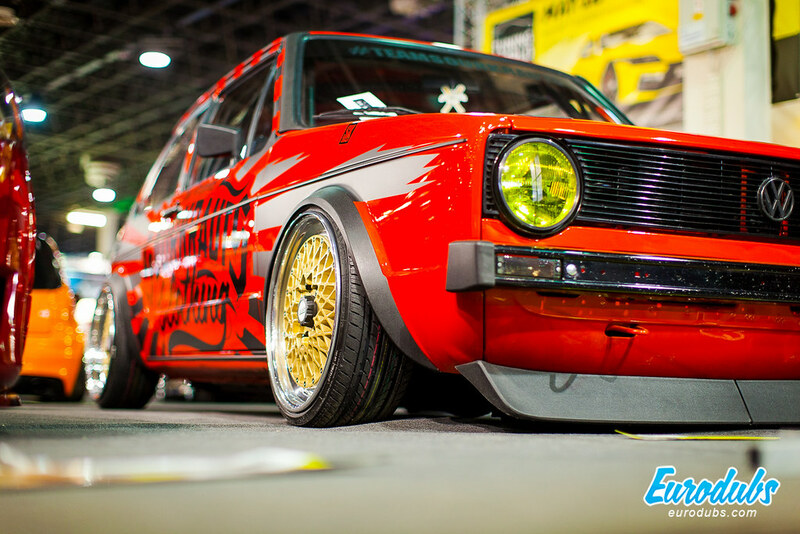 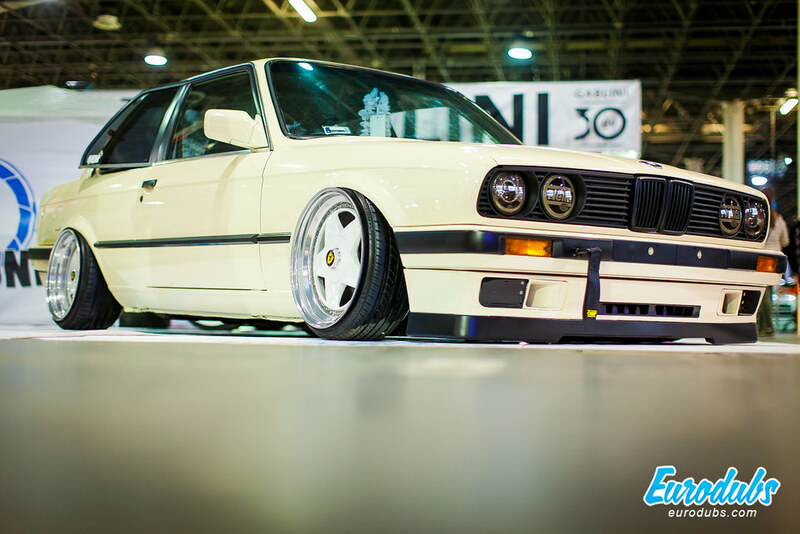 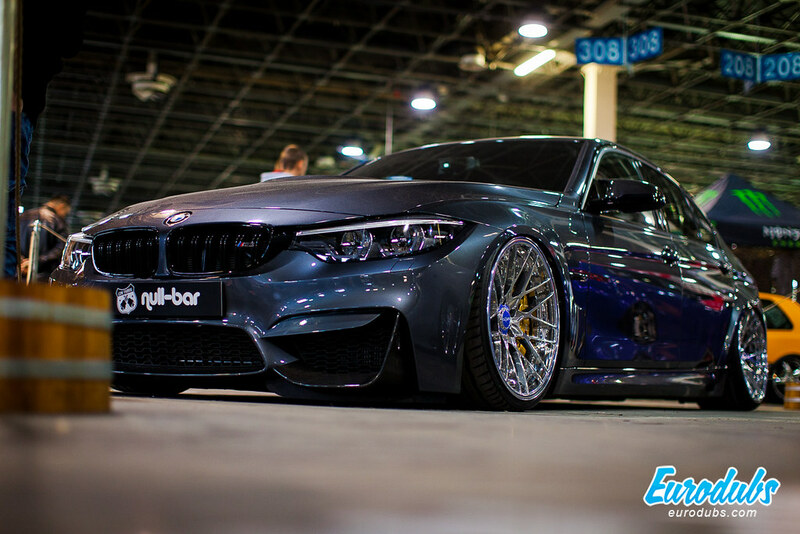 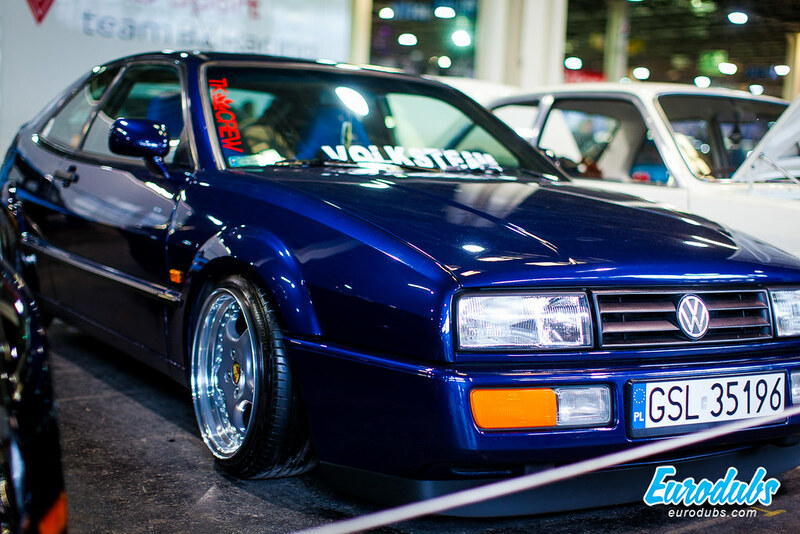 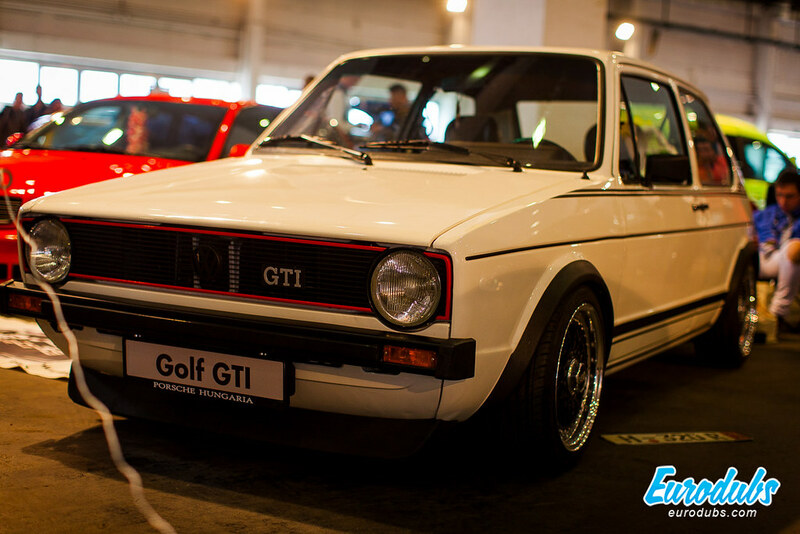 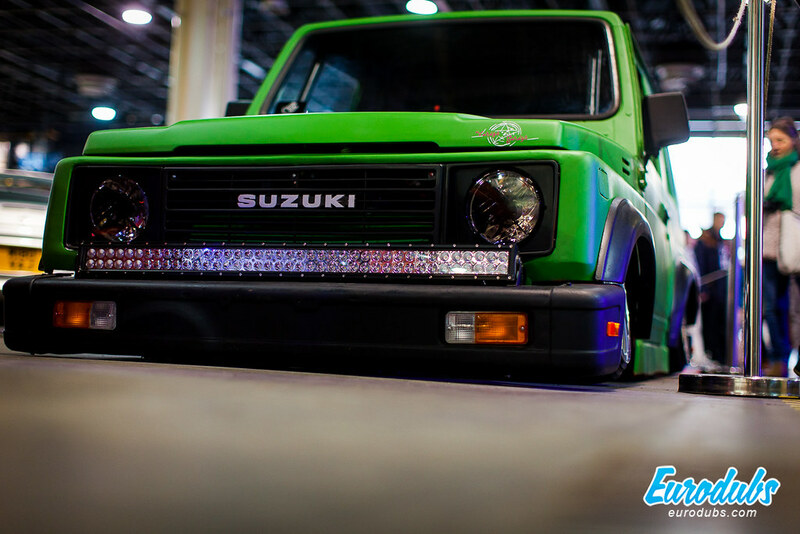 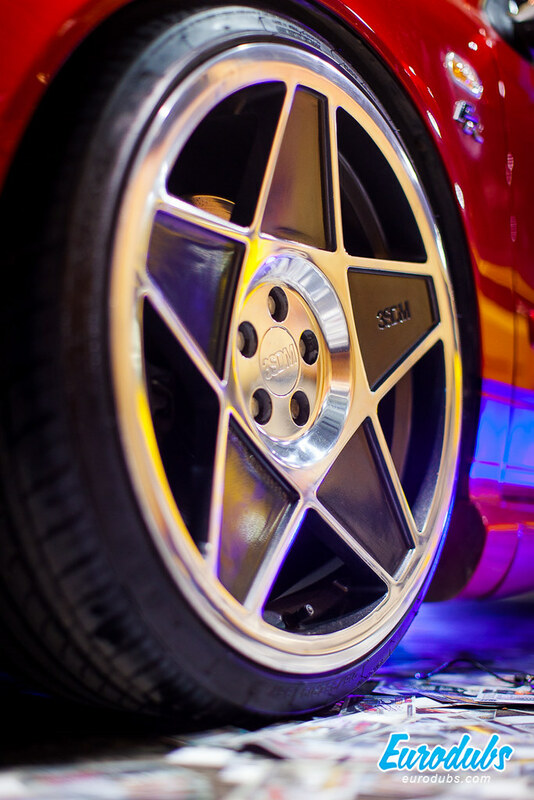 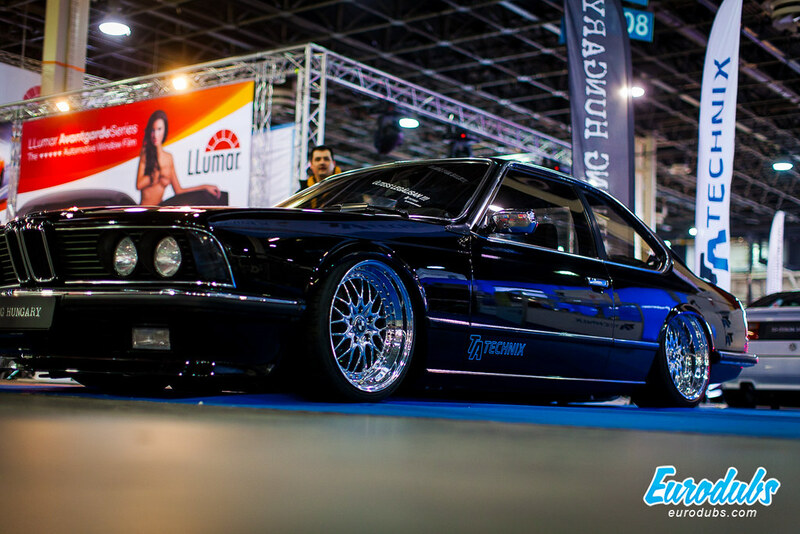 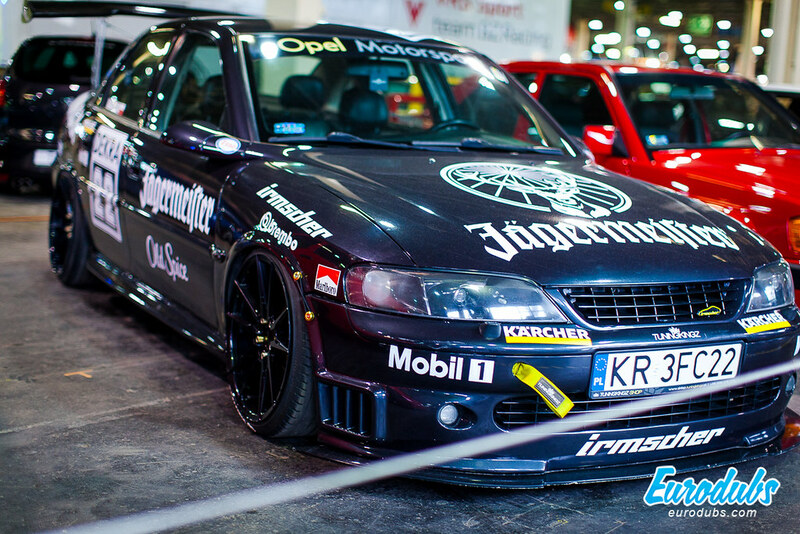 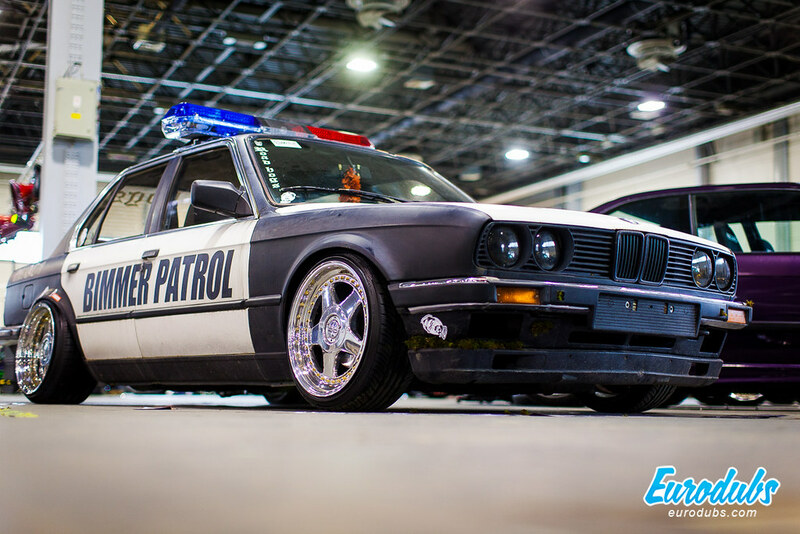 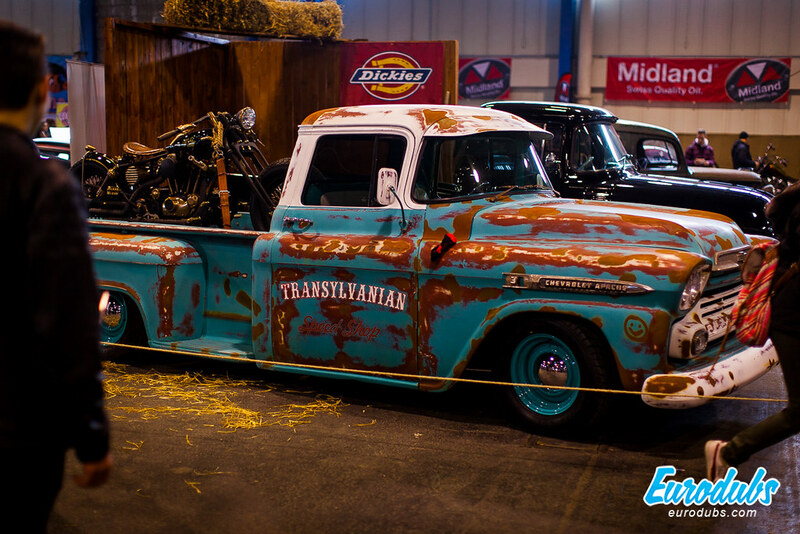 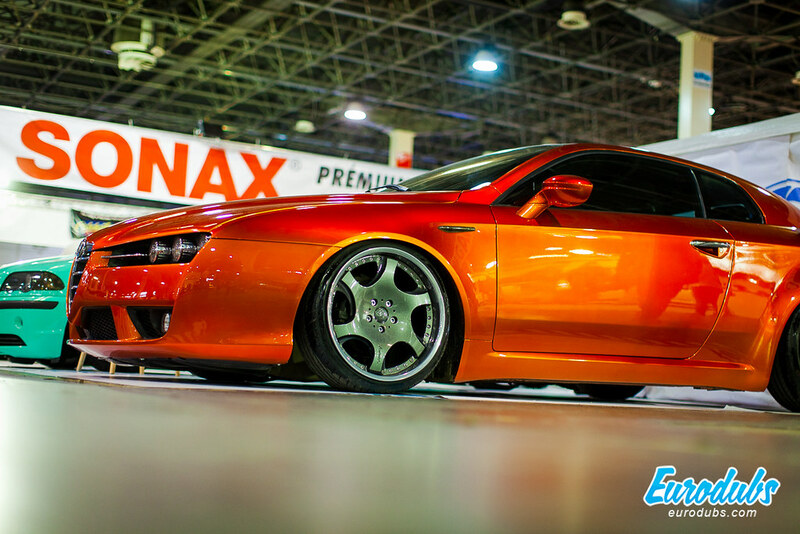 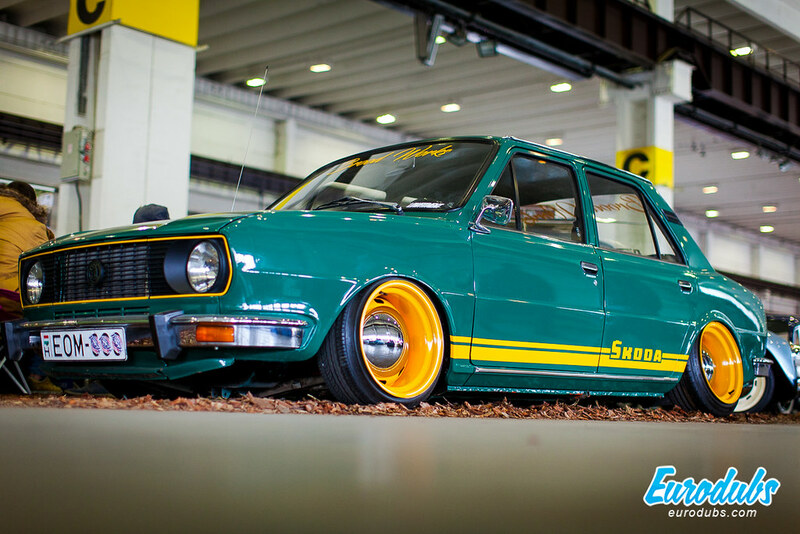 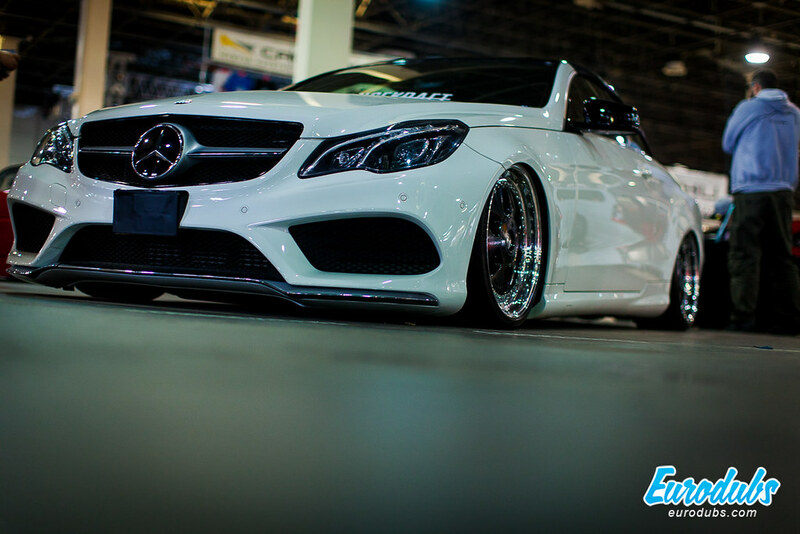 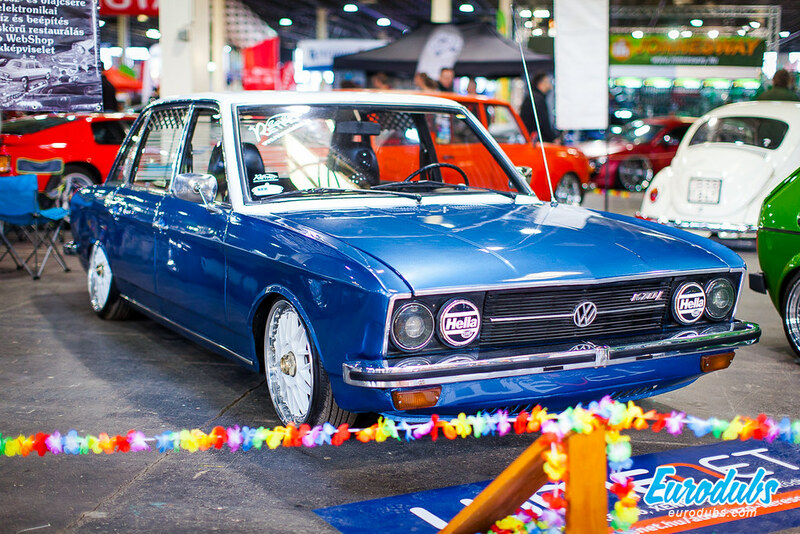 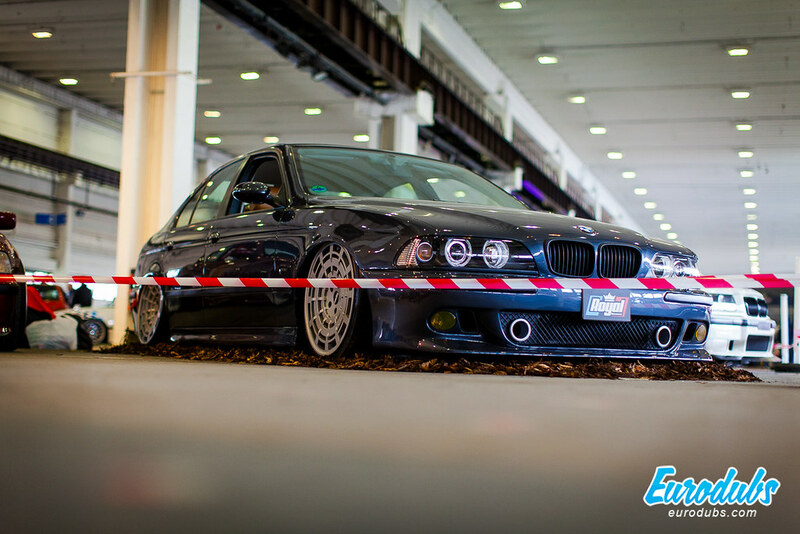 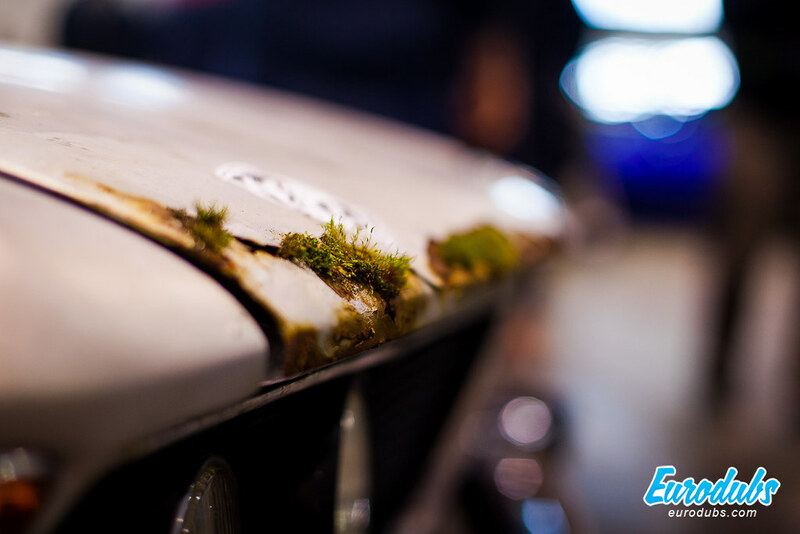 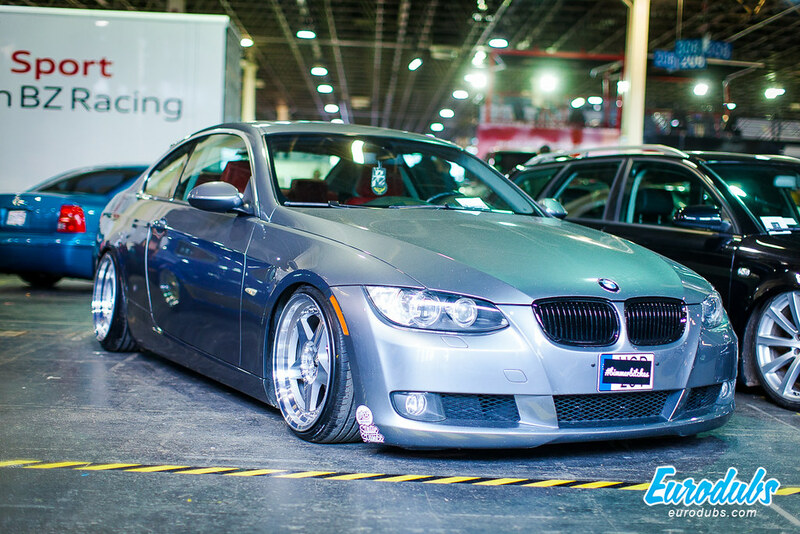 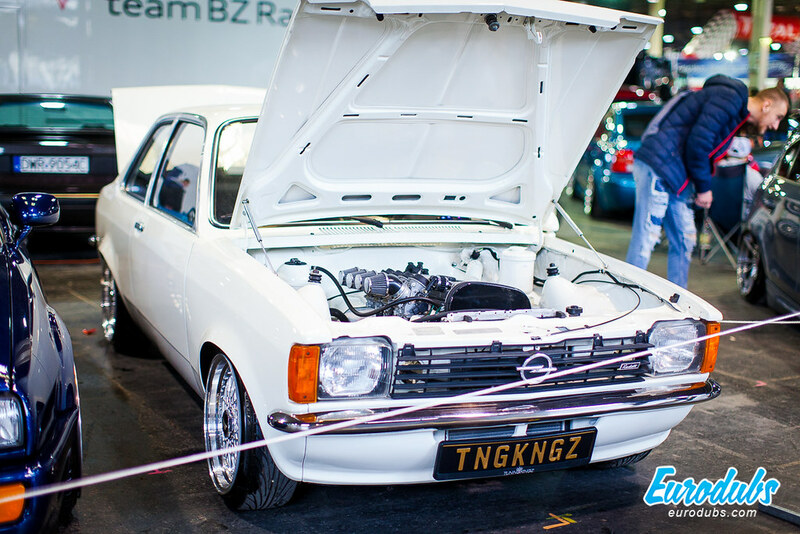 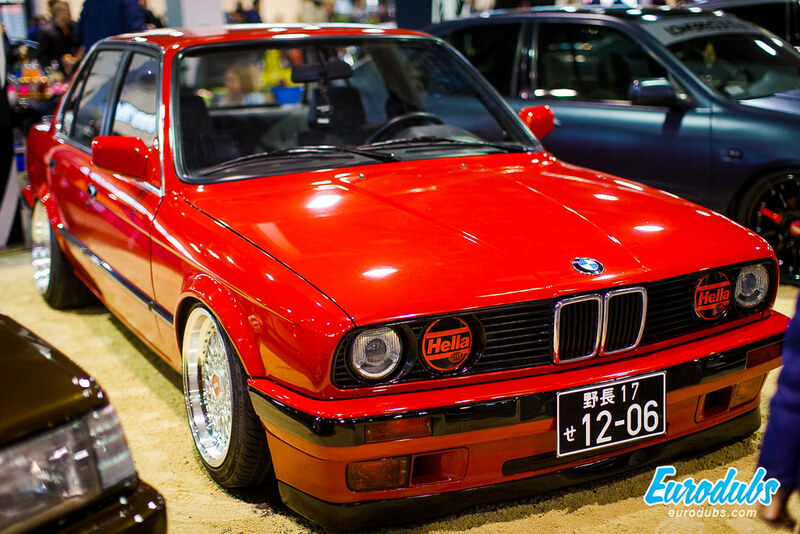 Auto Motor Tuning Show Budapest or shortly AMTS is one of the biggest indoor tuned car shows in this part of Europe. 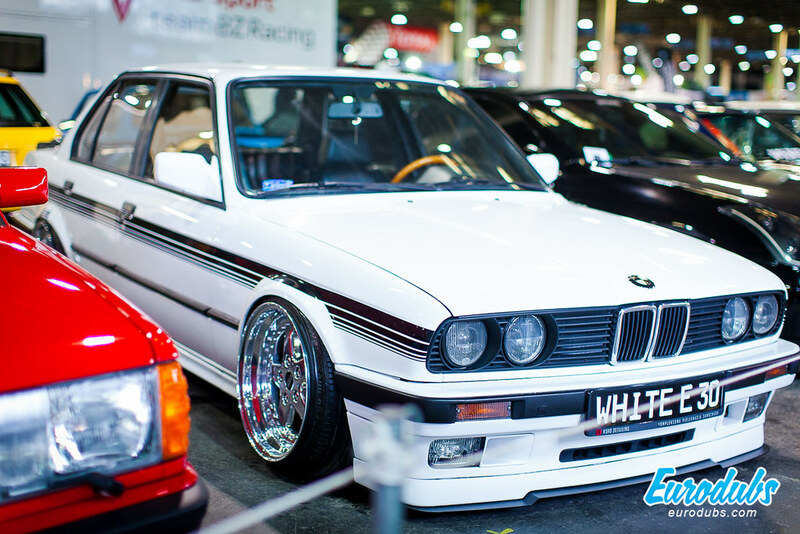 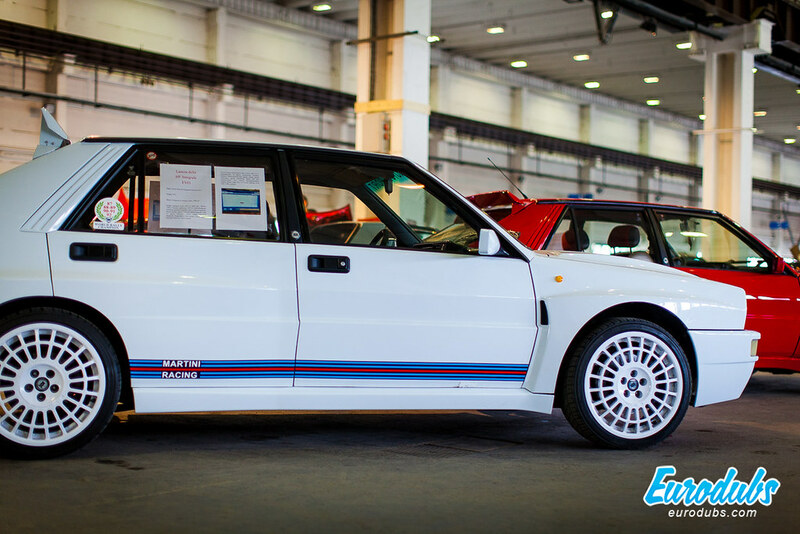 It is hard to think of a car that has not been exhibited at this event. 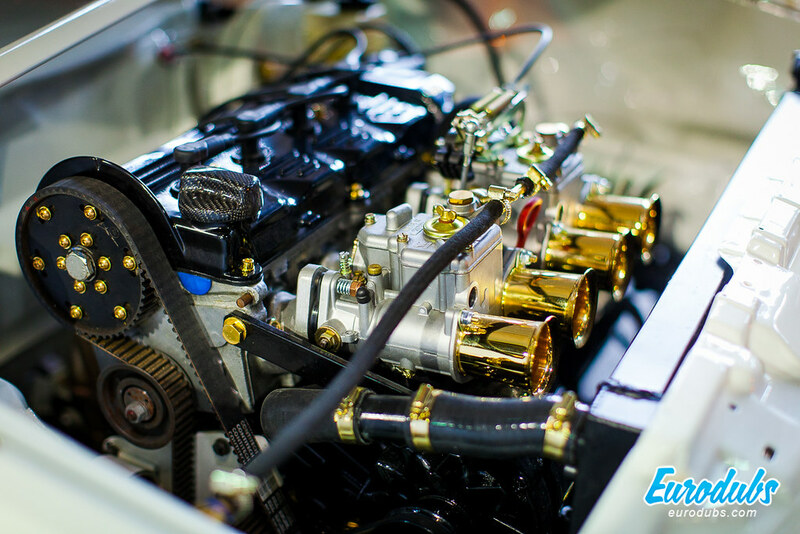 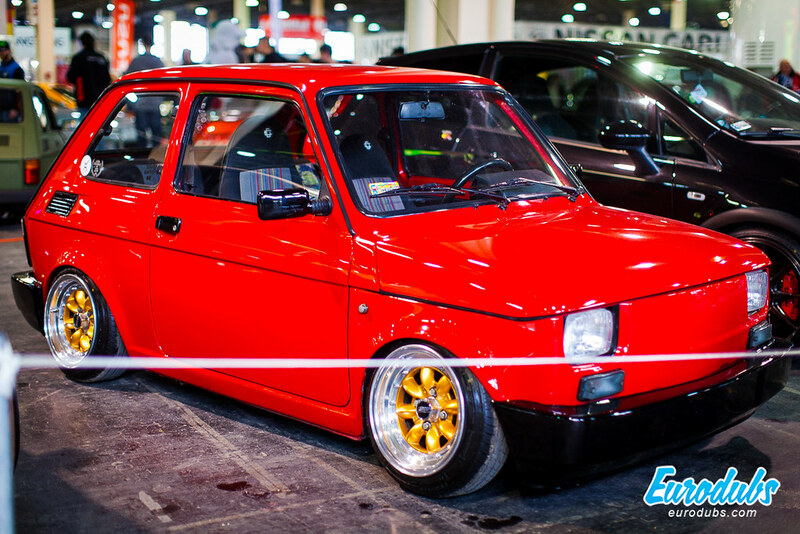 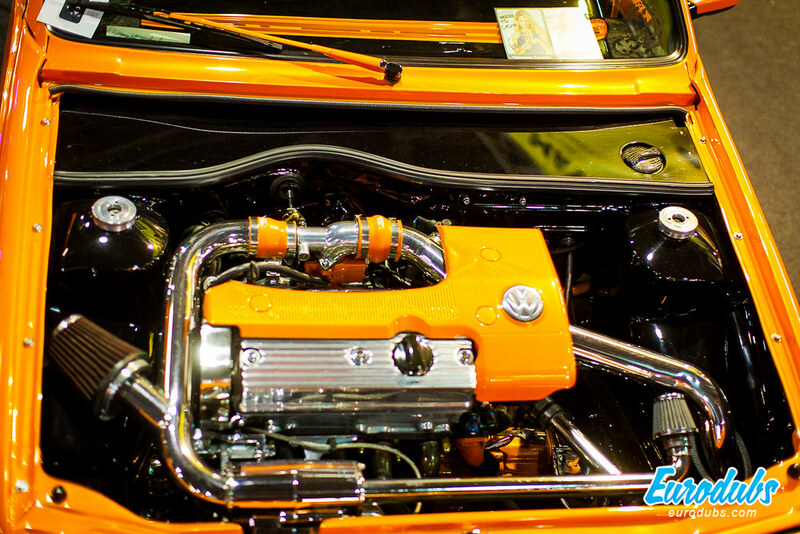 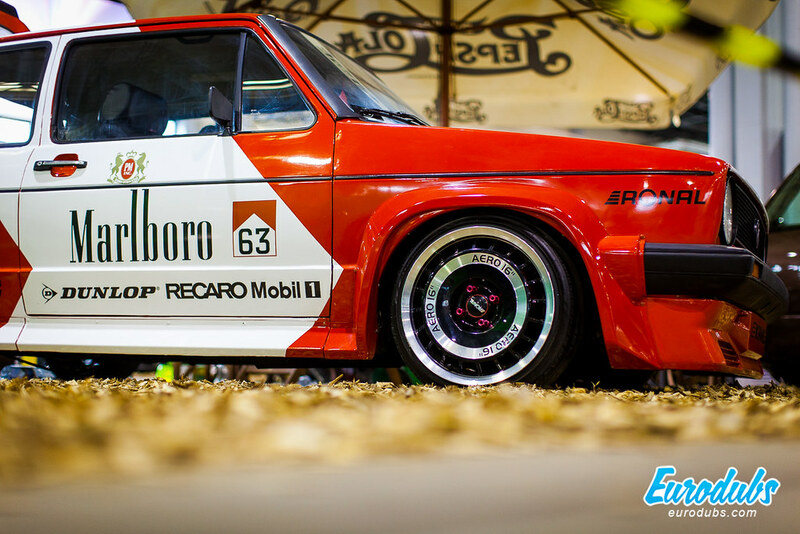 It was all there, from a little European Fiat 126 to a big block American Muscle cars. 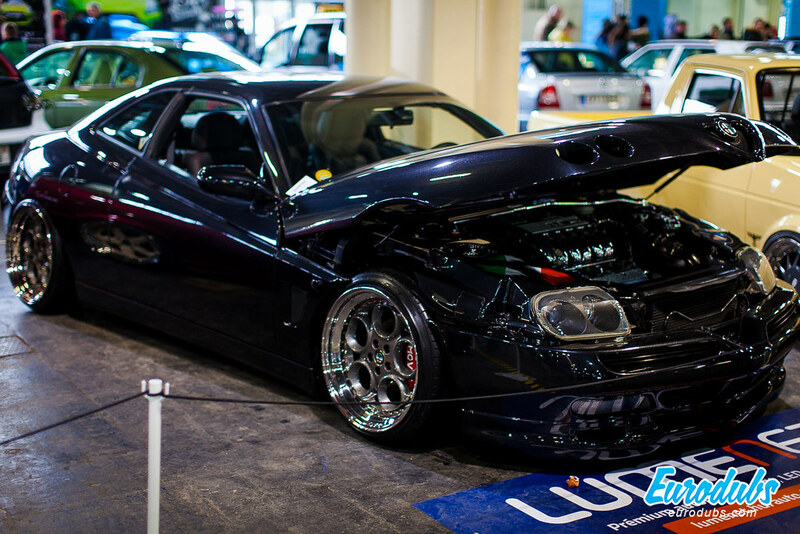 That being said, it was impossible for us to photograph every car that was exhibited. 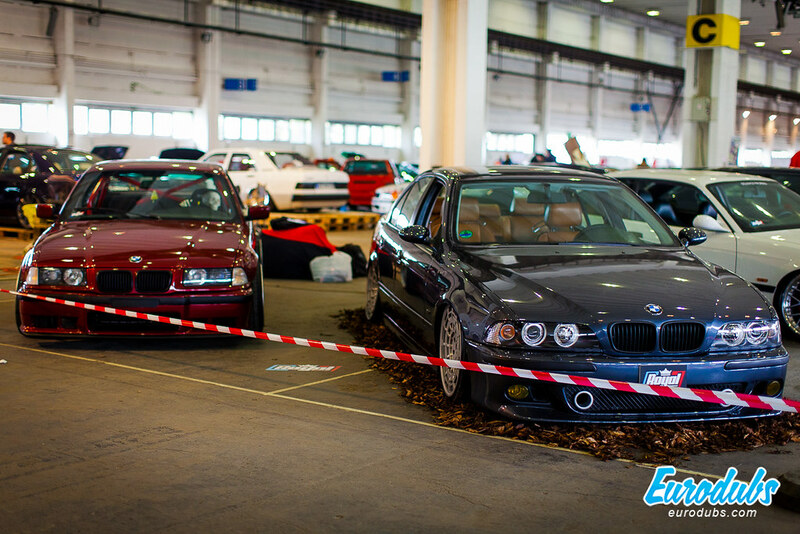 Well that’s not the point of our event coverage anyway. 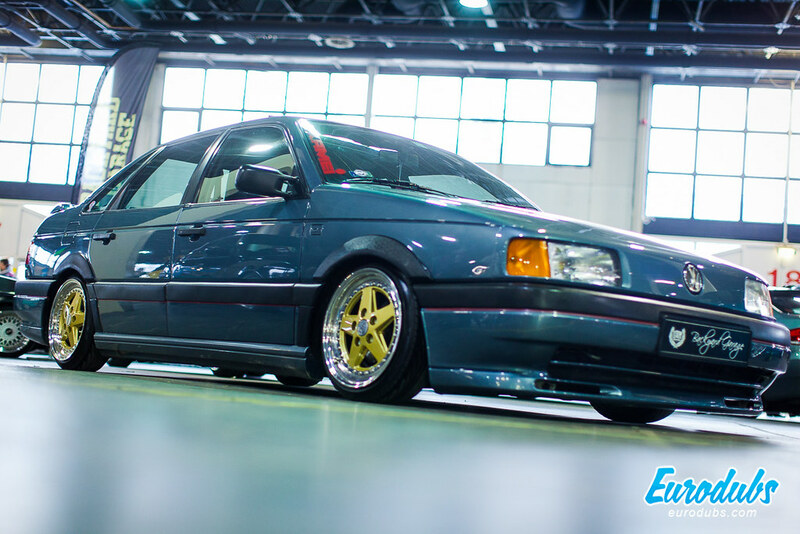 So we decided to concentrate strictly on European project cars (well we had to take a few more shots here an there) that fulfill our idea of a “project car”. 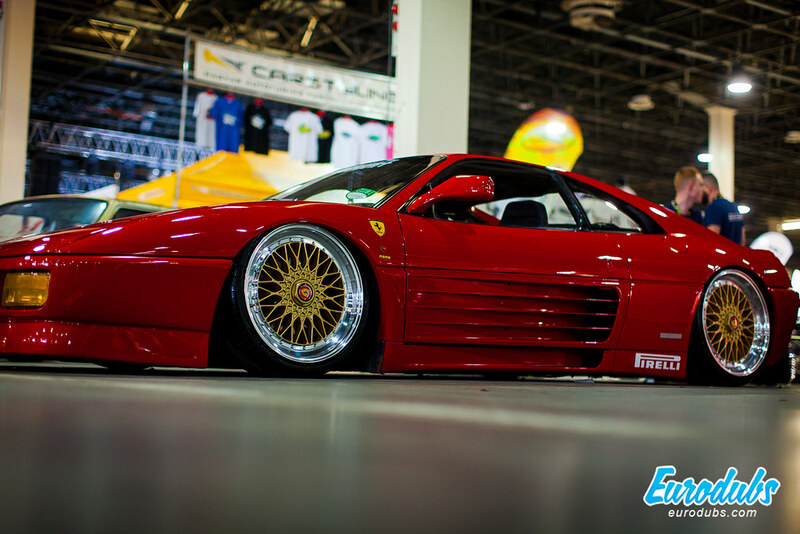 How about stanced super cars? 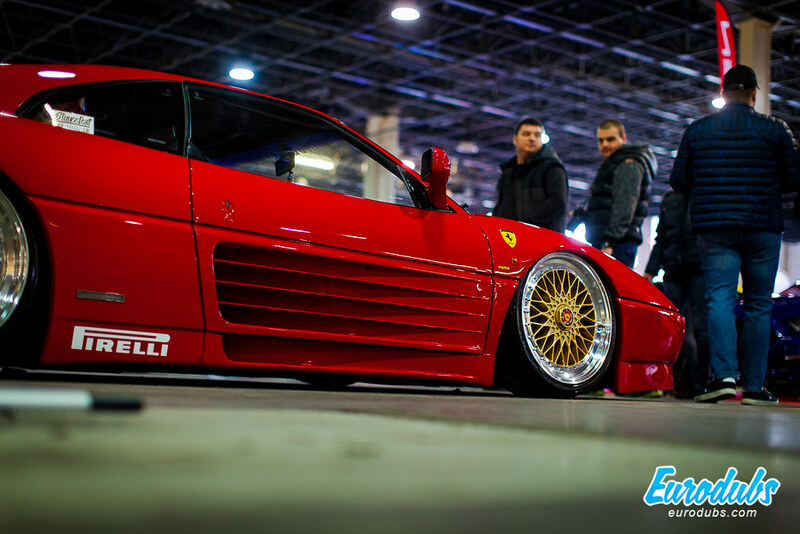 What’ your opinion on this lowered Ferrari 348? 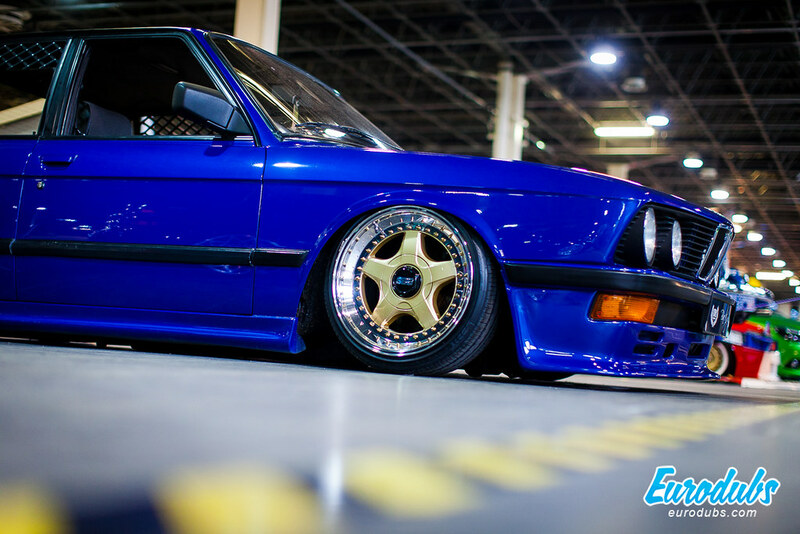 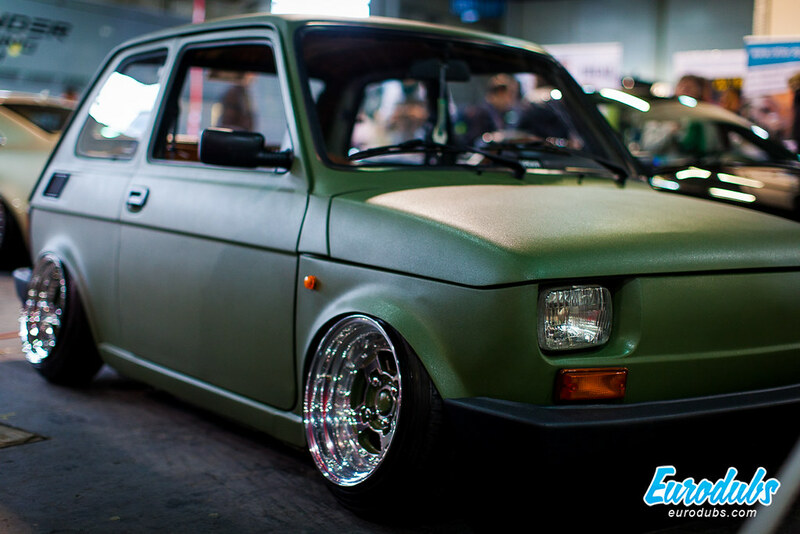 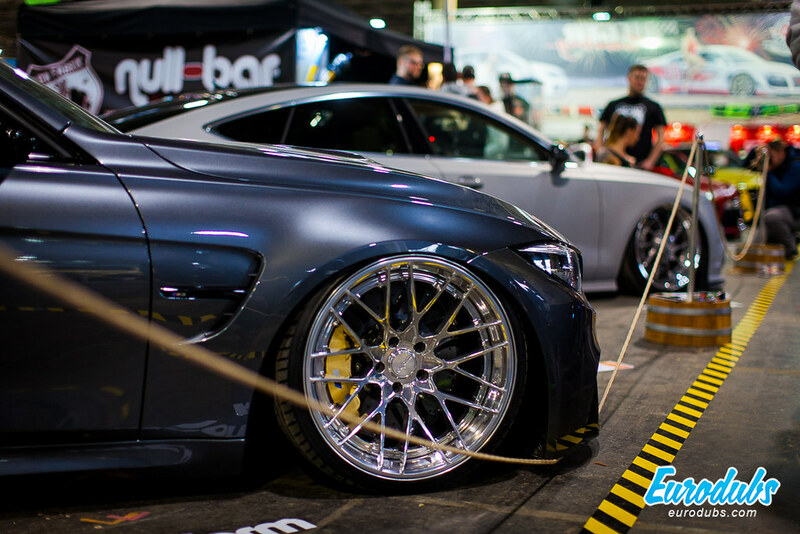 Best wheels of the show. 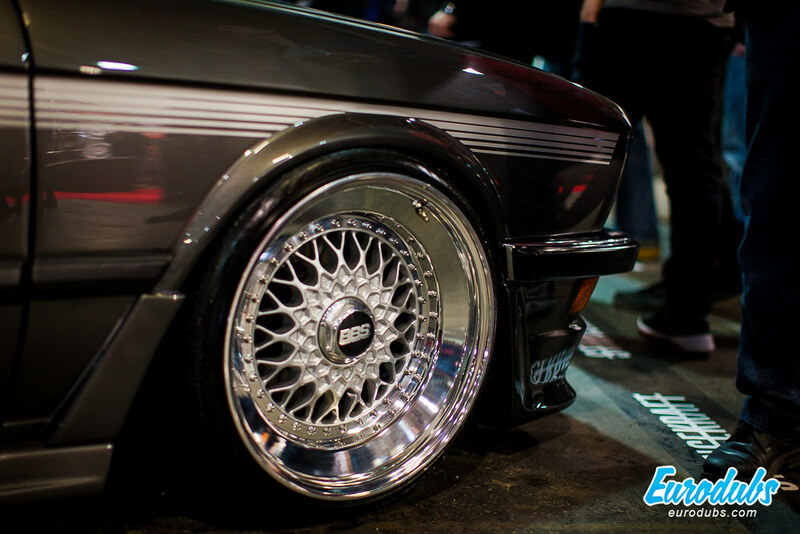 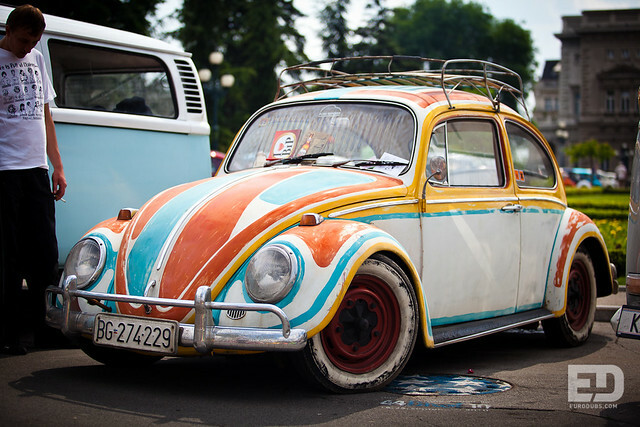 Szőcs Máté‘s custom split wheels. 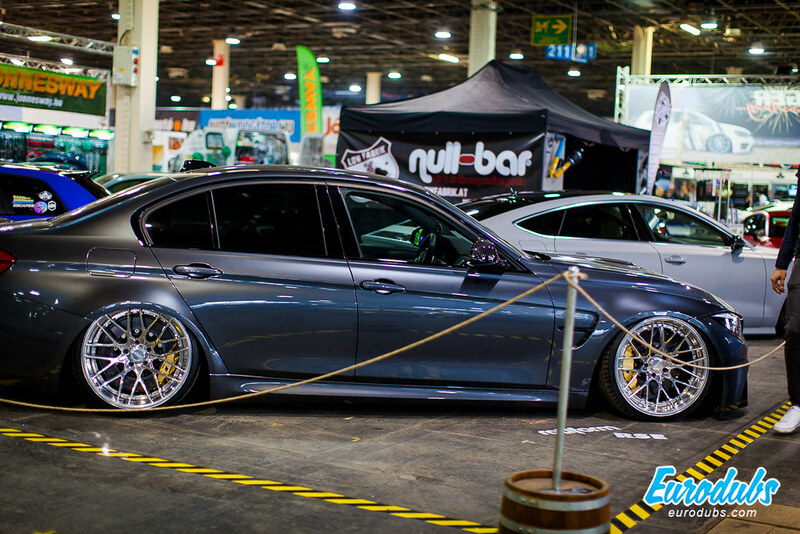 We are already used to seeing great custom wheels on his cars. 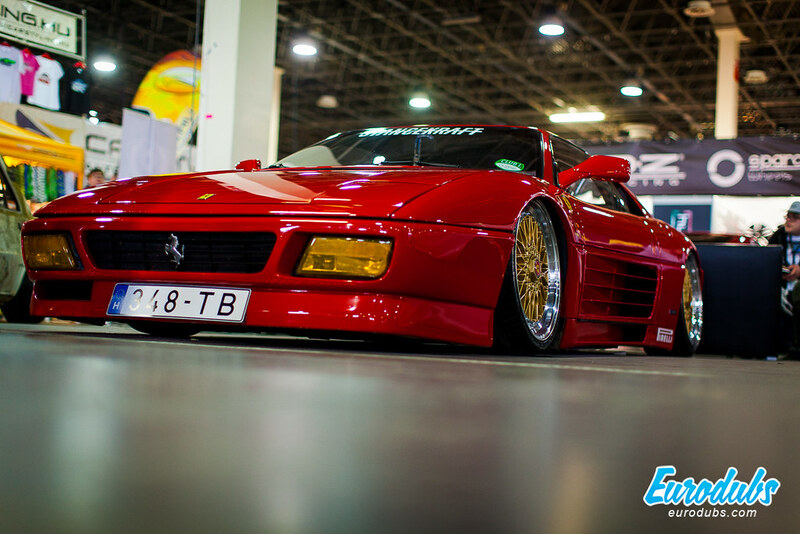 Another stanced Supercar. 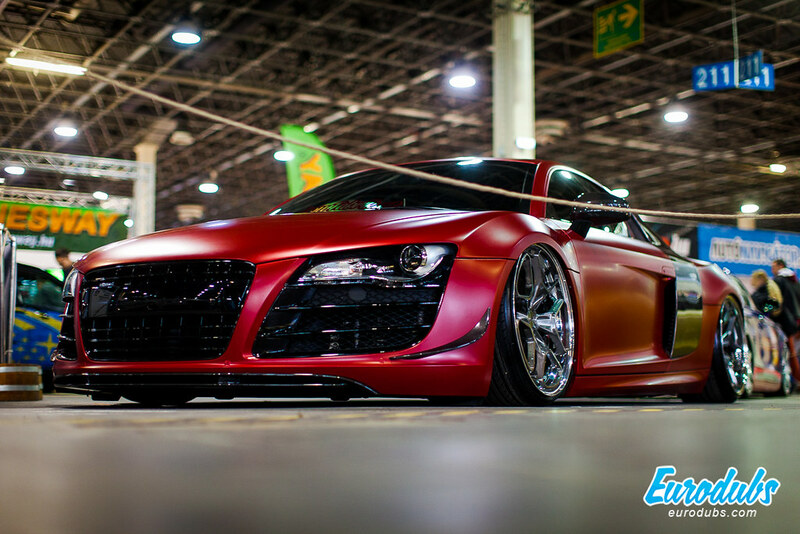 Audi R8. 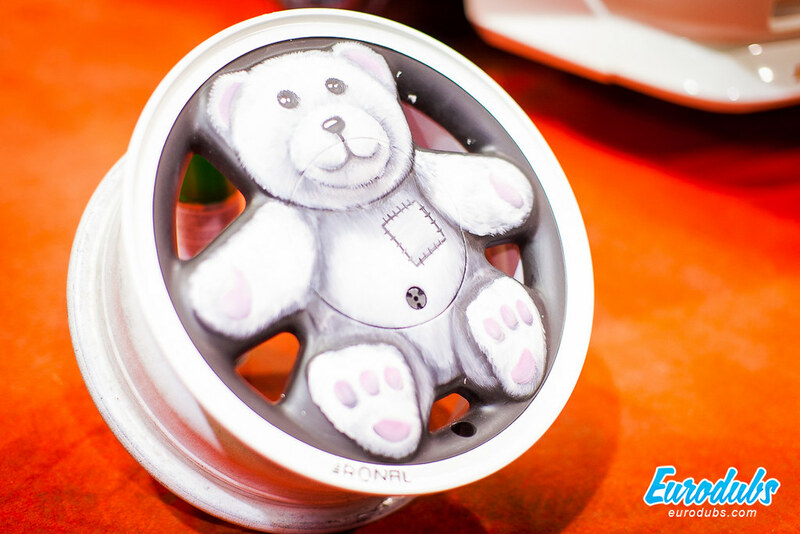 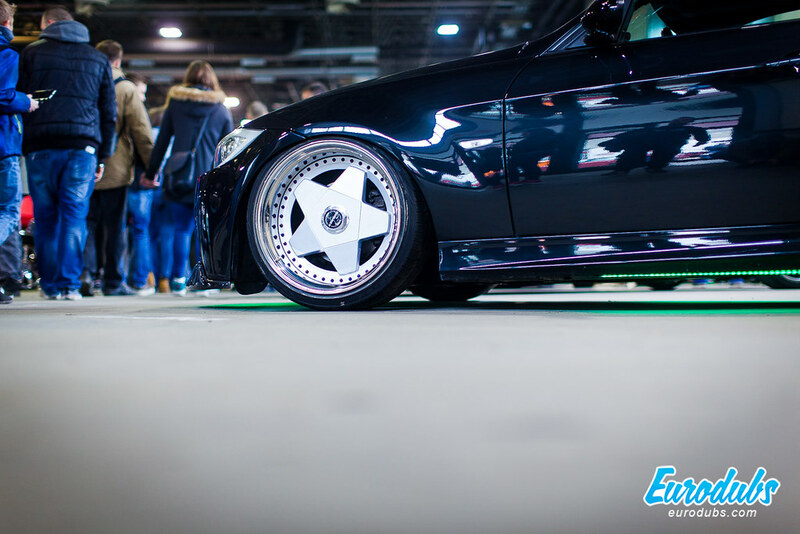 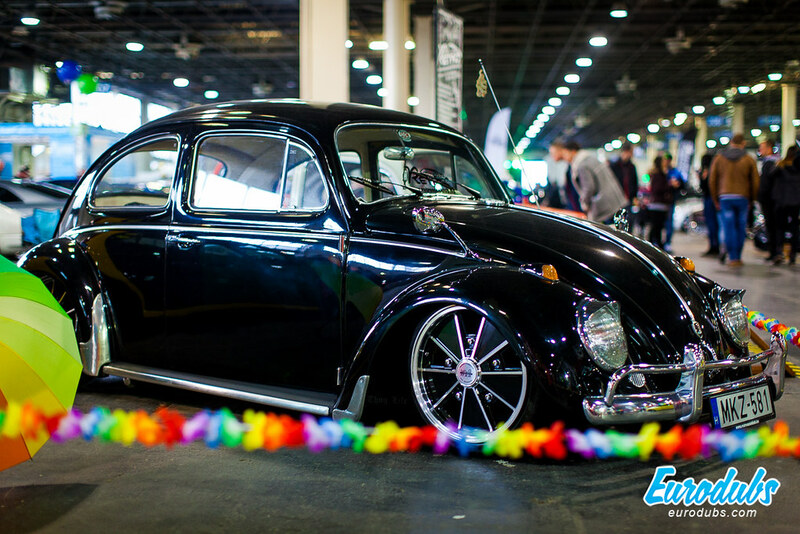 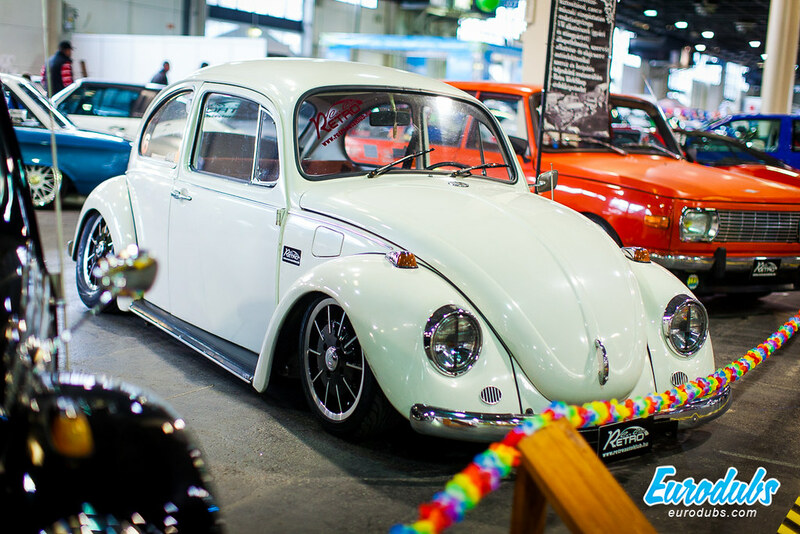 Enough cool European projects were presented, some cool new, old and custom wheels could be seen but our impression is that there are more and more fake wheels at show each year. 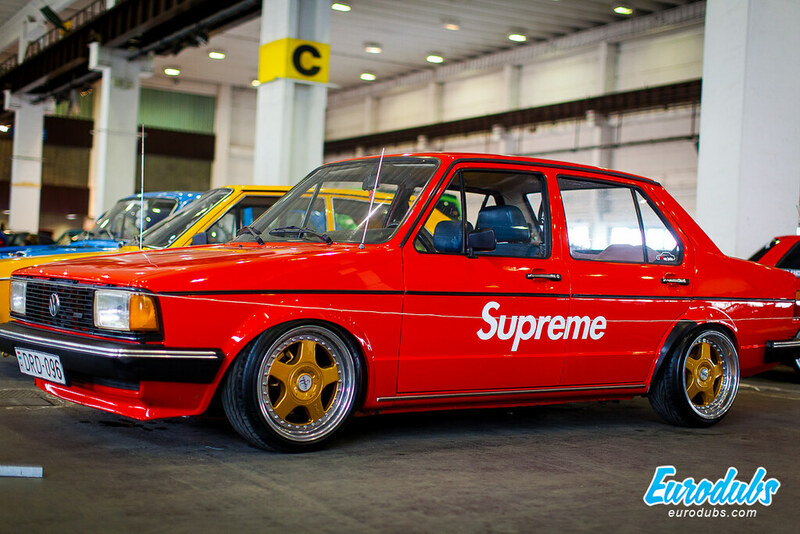 Which is in the least disappointing.